The non-profit Simons Soldiers Foundation employs veterans to find and train homelss rescue and shelter dogs to be Emotional Support Companions for Combat Vets disabled by Post-Traumatic Stress Disorder (PTSD) . Service dogs are one of the most effective therapies for PTSD, but there are 500,000 veterans suffering from PTSD, and only 2,500 service dogs to support them! Vets paired with service dogs virtually always show improvement; suicide rates, divorce, substance abuse and prescription use decline dramatically. Simply petting a dog lowers the patient’s heart rate, eases anxiety, and reduces stress. Unfortunately, the Veterans Administration does NOT fund, or even refer, this proven therapy for veterans disabled by PTSD. 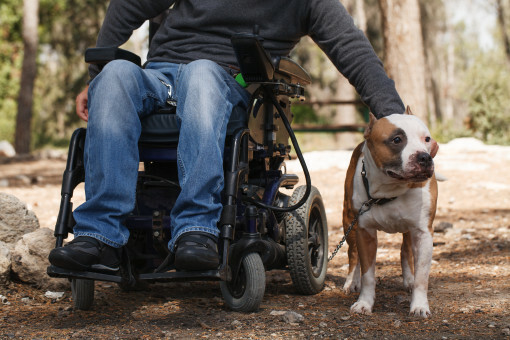 There are literally hundreds of thousands of military veterans disabled by PTSD who can benefit significantly simply by sharing their lives with specially-trained Emotional Support Canine Companions. Simons Soldiers’ cost-efficient, fast-track training methods are designed to help quench the overwhelming demand for PTSD Therapy Canine Companions. We employ veterans to identify appropriate Emotional Support Buddy Dogs at rescue groups and shelters for an advanced Obedience Boot Camp. Successful Boot Camp graduates then join their Veteran Teammates for an intensive training program customized to each Vet/Dog Team’s unique living, financial, and psychological situations. These incredible canines give vets a “battle buddy” bonded for life–someone they can depend on to watch their back, no matter what. These deep personal allegiances help disabled veterans cope with the unique challenges they face every day. ​Simons Soldiers’ Fast-Track Vet–Buddy Dog Team Training and the Support Dog are free to qualified US Military Veterans disabled by PTSD. Where most training programs require several years and more than $50,000 per dog, the non-profit Foundation unites impacted veterans with life-long battle buddies in just weeks for approximately $500 to help meet the overwhelming need for PTSD Support Dogs. The Simons Soldiers Team utilizes many diverse talents: donors, grant writers, foundations, trainers, social media experts, fundraisers, administrators, accountants, attorneys, donors, facilities, sanctuary, accountants, marketing, rescue organizations, veterinarians, veterans, and more. Your special skill can make a huge difference in literally thousands of veteran families’ and canines’ lives. We welcome your help, be it as a volunteer, donor, or even just spreading the good word to give a service companion to every veteran and veteran’s family who’d like to participate. Please help us serve those who served us so honorably. Send this website to anyone you know. The more who know, the more we help.